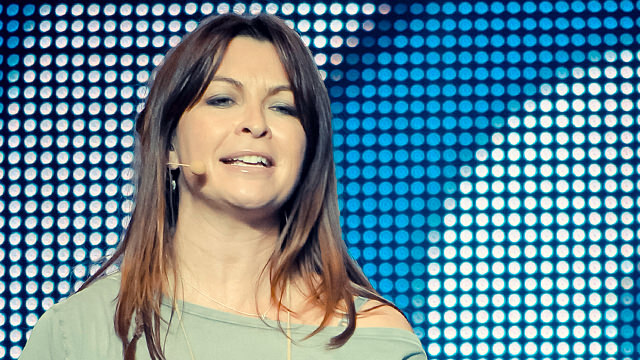 Suzi Perry has been announced as the new face of Formula One on the BBC, as the seasoned sports presenter takes over the role from the departing Jake Humphrey. With ten years of presenting MotoGP for the BBC under her belt, Suzi knows how to front a motorsport programme and brings a wealth of broadcasting experience to the team. With the announcement, Suzi spoke of her excitement at the coming challenge. Motorsport is my life and I've really missed being away from the grid. I am so excited to be joining the BBC. Working alongside such an eminent team and the F1 world is a huge honour and I can't wait to get started. As well as presenting sports on wheels, Perry has reported live from Wimbledon, at previous Olympics, and the Boat Race. She's also been a mainstay of the team that make The Gadget Show - reviewing all the latest and greatest technology. Jake Humphrey's decision to vacate the position was partly down to an alternate offer (presenting football on BT Vision) and partly down to his desire to spend more time with his growing family. The Formula One calendar in 2013 will keep Suzi away from home, with an exhausting travel schedule. Speculation had placed the role with Lee McKenzie, who has been part of the existing F1 team on the UK channel for the past three years. She has covered Jake's position when he has not been able to attend a race, and improved as each season has passed. It is encouraging to see the full-time anchor gig given to a woman, although disappointing that Lee was overlooked. From the BBC's point of view, Suzi is the right choice though, as their Head of F1 explains. She'll bring real energy and years of experience to one of the biggest jobs in sports broadcasting. Her presenting ability, coupled with her love and knowledge of motorsport, make her an excellent addition. The BBC have not yet confirmed the makeup of the rest of the team, with an announcement on that to be released in "due course." The chopping and changing at the corporation is in direct contrast to competitor Sky Sport's offerings, with the satellite broadcaster confirming they would keep their lineup unchanged for the coming season. We've seen previously that when new presentation groups are put together, it can take a while for them to gel on screen and for the coverage to flow smoothly. With the Sky lineup now a year down the road, and the BBC facing changes all around, this could tip the balance even further in the favour of the commercial broadcaster.